This is native to Europe and Asia but was deliberately brought into the U.S. in the 1860’s as a possible source of silk, and managed to escape captivity to infest surrounding forests. 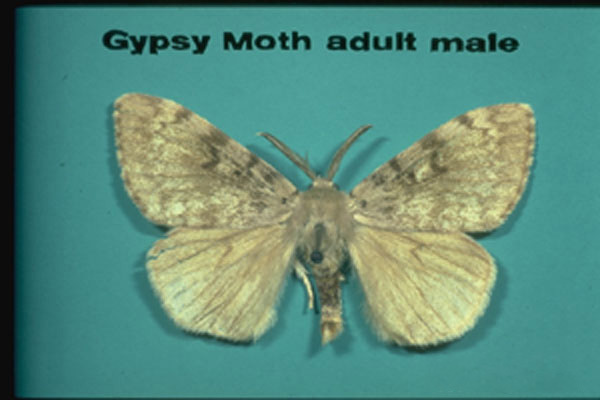 It now is found in the Upper Midwest and Northeast states and southern Canada, and occasionally will be intercepted in California and Florida where eradication programs have successfully removed it. 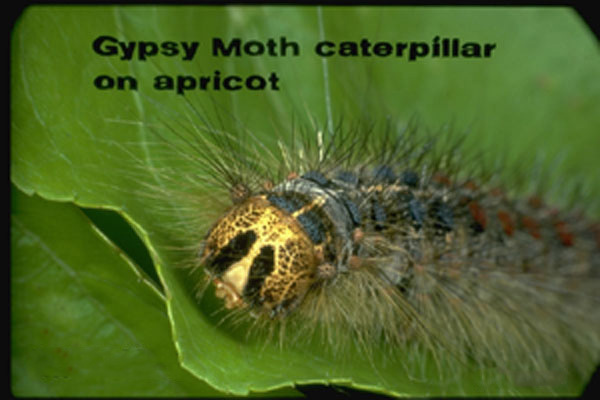 This legendary moth has killed millions of acres of forest since it became established, feeding on many deciduous trees as well as many conifers. Females deposit a mass of up to 1000 eggs on the bark of a tree as well as on many other stationary surfaces, including under road vehicles. The female is not able to fly and is restricted to crawling only. 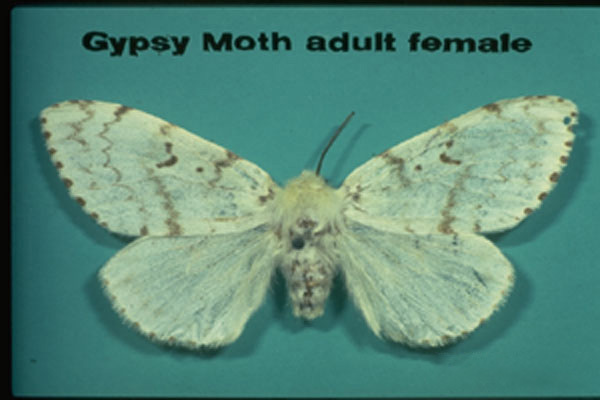 The eggs overwinter and hatch in the spring and larvae mature and pupate by mid-summer. The distinctive larvae are up to 2 inches long when mature and have a double row of hair tufts down the dorsal surface. 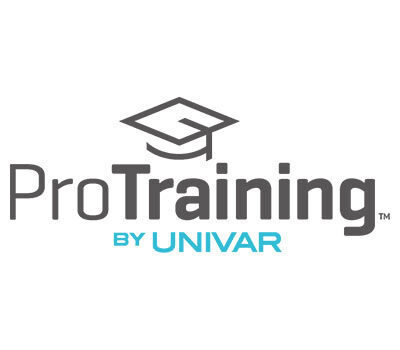 The first 5 pairs are blue and the following 6 pairs are red. Long tufts of tan to yellow hairs are along each side. 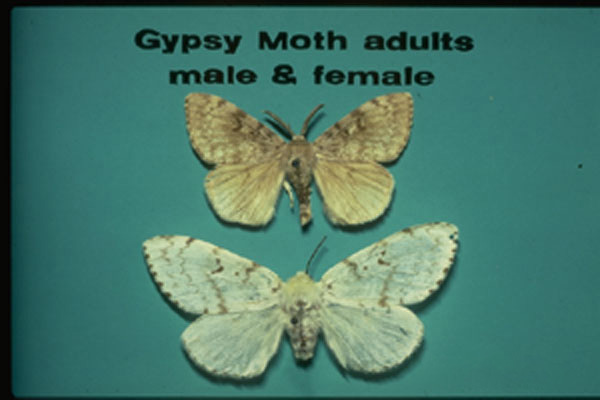 The adult moth differs between male and female, with the flightless female being larger than the male and with white wings that have only a few dark markings on them. The male is brown to light brown with darker wavy lines running across the wings. 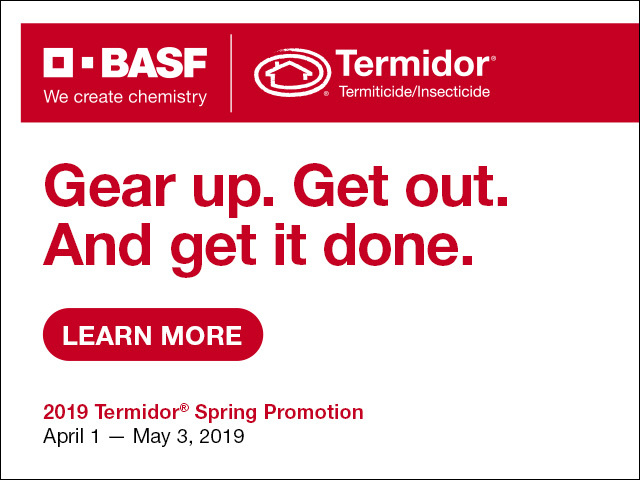 The use of chemical sprays is necessary to kill the larvae, including both synthetic insecticides as well as natural materials such as Bacillus thuringiensis. 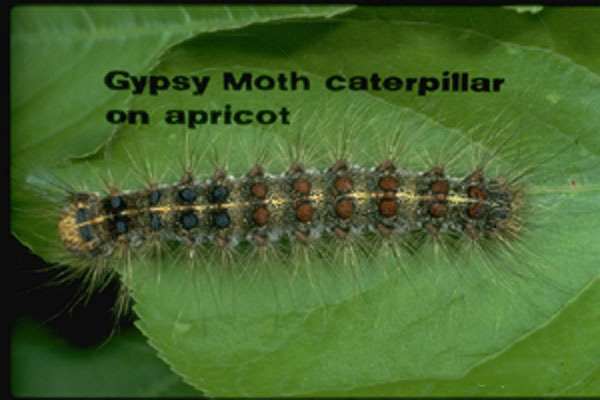 Sprays should be directed onto the larvae when first noticed on the foliage. To halt the spread of the moth all vehicles are inspected at border stations to seek out and remove egg masses deposited by the females. A non-chemical method for reducing infestations is to place a folded burlap sack around infested trees, offering larvae that move down the tree before daylight a hiding place that then can be opened and the larvae destroyed.